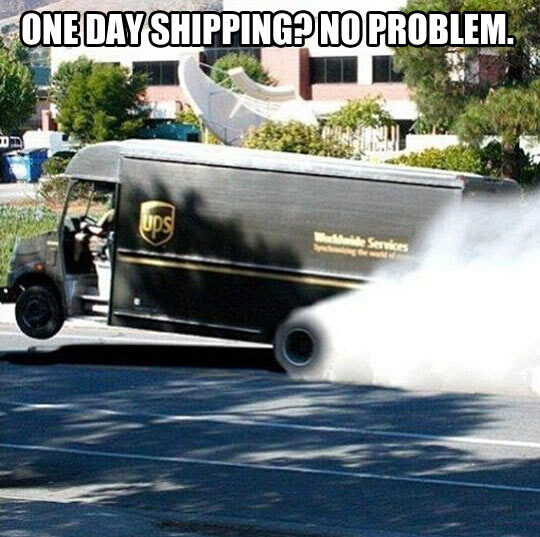 Delivery is a serious business, but we’re all about making it fun whenever and wherever possible. Among the level-headed route planning and carefully constructed lead times, there is always a room for a moment of merriment. 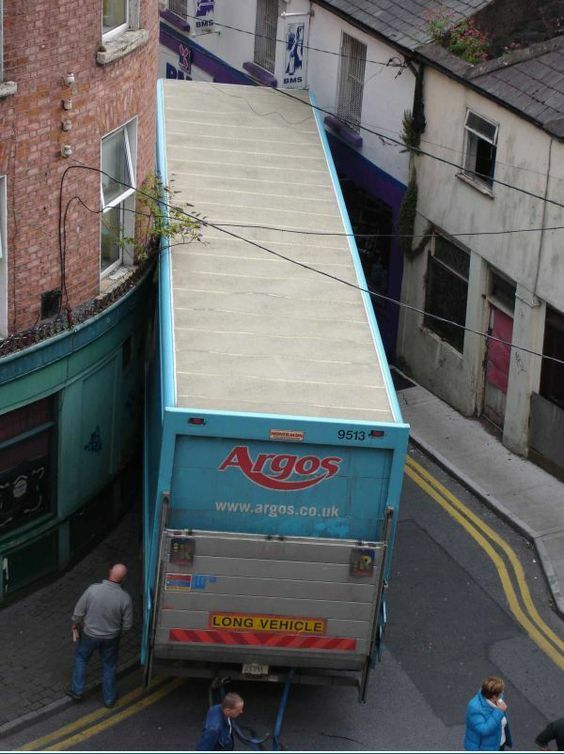 So as you head off to battle congested roads, bad weather conditions, and other obstacles to prevent you from making your deliveries on time, let’s share some amusing examples of things not quite going to plan which could easily happen to you as well. 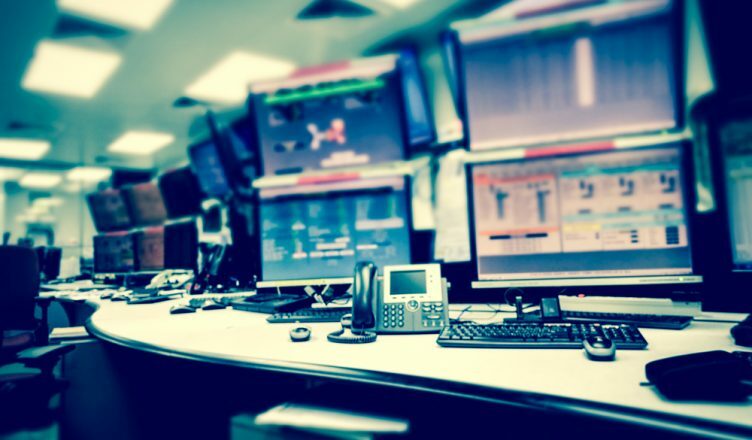 To avoid making the same mistakes, you’re better off using dispatch software. We’ll explain why as you read on. This situation is more likely to happen if you don’t plan well-optimized routes for a new area or if your drivers are driving in a new area. Such a mistake will not only make your drivers’ lives miserable, but it’ll also damage your business as the driver will turn up late at the customer’s location and the delayed delivery will lead to an unhappy customer. Can you afford that? 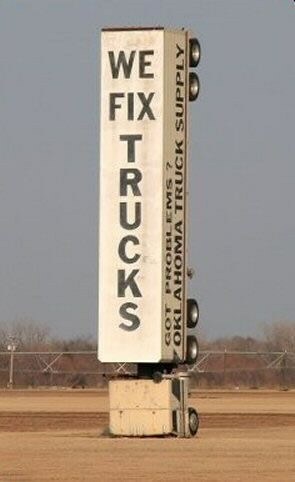 Probably not…so you need dispatch software. Such software will help you plan a well-optimized route in 30 seconds. See more below on how route planner software will save your drivers from the embarrassment of many weird situations on the road. With trucking dispatch software, your drivers will never need to worry about one way signs again, as the software’s advanced algorithm will automatically identify the one-way roads and design your routes accordingly with clear instructions. This will mean that your drivers no longer have to depend on, or follow, direction banners. 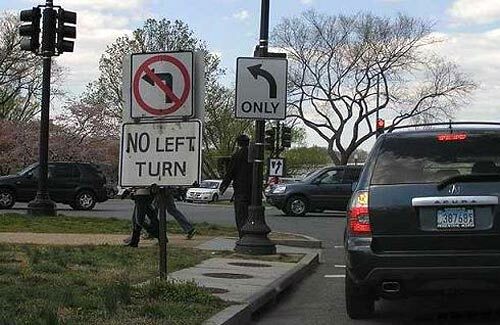 To turn left or not? Well, that’s often a difficult question, isn’t it? The good news is that, with a multiple destination route planner, you won’t need to worry about left turns, right turns or even u-turns again. Truck map software comes with a “turn restrictions” feature that allows you to set whether you wish to allow or avoid a specific type of turn, according to your preference. The schedule optimization software will then plan and provide you with an optimized route. The best part is that not only will the driving directions shared by the vehicle routing software exclude the prohibited turns, but the additional time and distance of these turns are also taken into consideration during the route sequencing and optimization process. Load your vehicles, but never overload them, or the image depicted above could quite plausibly happen to your fleet as well. 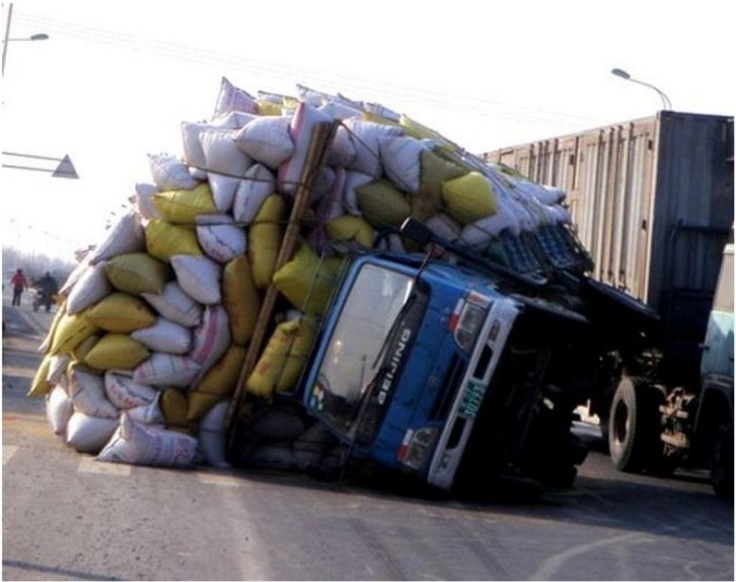 Overloading not only leads to road mishaps, but it also violates numerous state and federal regulations that can result in legal disputes. Again, dispatch software can be of great help here. Delivery scheduling software offers a weight and capacity constraints feature, as shown below, which – as the name would suggest! – helps you define the weight and capacity figures. The software will then plan and distribute an optimized route accordingly, so that no overloaded vehicles leave the depot. Sometimes you may load up your fleet with products that are quite tall and your drivers may find it difficult to manoeuvre their vehicles around some areas, as displayed in the image above. 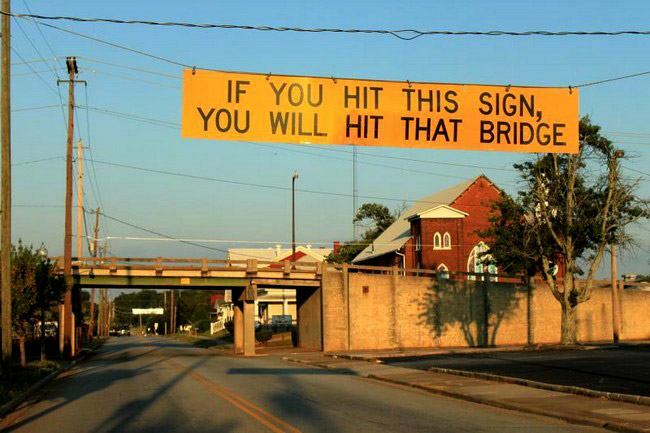 But, of course, you can’t hope for a sign to warn your drivers of low bridges, and you can’t afford for your drivers to return to the depot, due to not being able to deliver the goods. This is why you need fleet mapping software. Like weight and capacity restraints, such software comes with height constraints. You just need to upload a file that has extra columns called “Height”, “Weight”, and “Capacity” and the fleet routing software will perfect the number of balanced routes so that your drivers don’t need to face a single hassle on the road. According to a report, more than 37,000 people in the United States die in road crashes each year. Many of these are caused by some form of phone usage. And, even if a crash doesn’t cause any fatalities, legal expenses and property damage can cost hundreds of thousands of dollars. Also, even if an employee is off-duty when they get into an accident, you would still be held liable. You can also add the damage to your business’s reputation, as your clients would no longer trust your drivers to be reliable and professional. 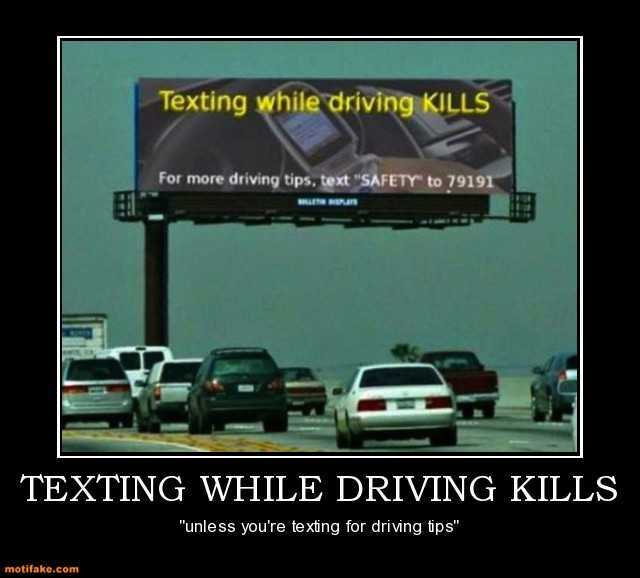 And if word gets out that one of your drivers wrecked a vehicle because they were texting while driving, you’ll have a hard time winning new customers in the long run. Route optimization software will be of great assistance in order to prevent this from happening. The software will ensure that your drivers receive well-optimized and 100% accurate routes, so that they don’t need to text while driving in order to learn how to get to the next drop-off location. Moreover, truck map software comes with a GPS tracking feature that helps you see where your drivers are and what they are doing on the road, without having to ask them for the information. You never know what will happen on the road. Your drivers could take longer breaks, make personal stops, or, worse still, face sudden breakdowns or road mishaps. So how can you help your drivers if you don’t know where they are, and are unaware that they’re facing problems that could lead to delayed deliveries? To deal with such eventualities, you need delivery schedule software with a GPS tracker. Such GPS programs will let you see where your drivers are and what they are doing on the road. So if they have any emergency, you can send immediate road assistance, which is hardly possible when you plan routes with pen and paper. You can even re-assign the route which was affected by the road mishap to another driver so that the deliveries can still be made on time. But, that’s not all. A commercial GPS tracker also offers many other benefits, including reduced insurance premiums, improved driver performance, and lower probabilities of mishaps on the road. This is due to the fact that you can track and inform the drivers immediately if they are driving too fast, or are guilty of any other behavior that should be rectified immediately. 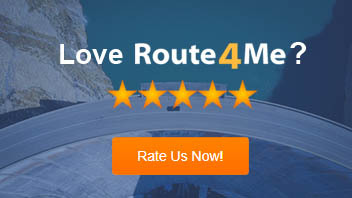 Most importantly, because the best route planners offer an integrated vehicle location tracking feature, your drivers will always have the best routes, which will ensure less risk on the road. So don’t you think this will simplify your field operations? According to a report, 61% of online shoppers are willing to pay more for same-day delivery and 18% of consumers say that fast delivery is the biggest deciding factor when choosing their delivery service provider. Well, these figures clearly show why fast delivery has become a priority for every business in the delivery industry. But, does that mean that your drivers need to drive at a blazing speed to meet consumer demands? Of course not! Dispatch software plans accurate and optimized routes, which help you make deliveries within deadline, ensuring that your drivers can make more stops without speeding. So how do you currently make deliveries? Do you use any free mapping tools, or do you still use pen and paper? Do you have any questions? Please feel free to let us know below. 1. Can a dynamic routing tool help you with same-day shipping? 2. 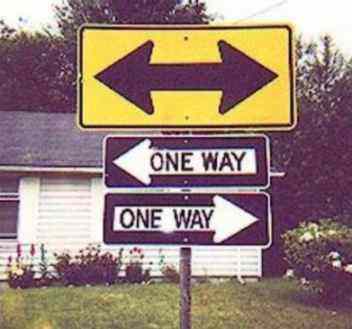 How can a route planner for delivery drivers ensure that your drivers don’t need to make left turns? 3. How can a route optimizer app help you send immediate roadside assistance if one of your vehicles breaks down on the road. Delivery is serious business and people always want their package to be on time, same goes for me. I didn’t know that delivery trucks used dispatch software to help plan routes to get to places they need to go. That’s really cool that some software even has places where you can enter the weight of the truck so it can help plan routes taking that into consideration. Thanks for all the information! thanks for sharing beautiful information.